The never-ending construction on Rockville Pike (MD-355) at the intersection with Cedar lane (near NIH and Naval Medical) continues to not end. 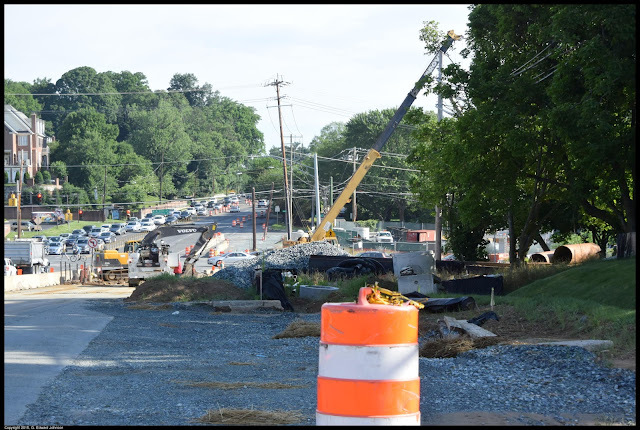 Currently they are actively working on the median of southbound Rockville Pike, and earlier this summer they were working on the turn lane to go from Eastbound Cedar Lane to Southbound Rockville Pike. You can see there are still a lot of areas that are dug up, they aren't finished yet. 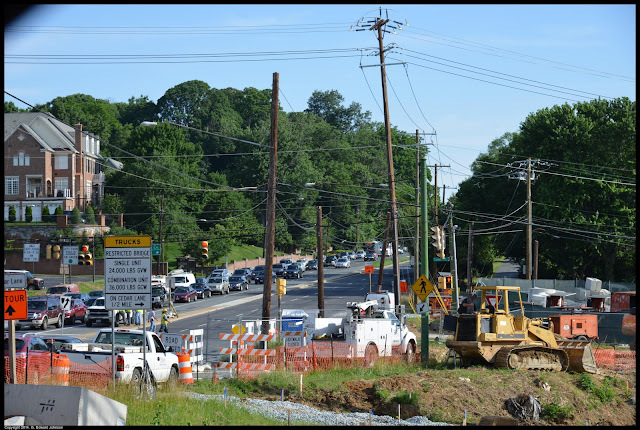 This picture is looking West along Cedar Lane, both sides of the street are still not finished. This has been tying up traffic for years now, who knows if it will still be under construction this time next year. 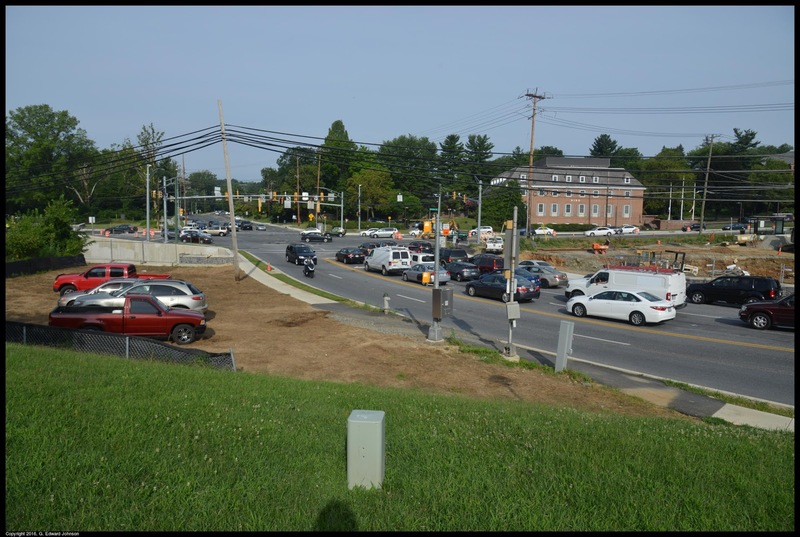 Here is the same intersection last summer (June 16th, 2015). At that time, some of the Northbound lanes of Rockville Pike were closed and they were working on encasing the stream in some nice, safe concrete. 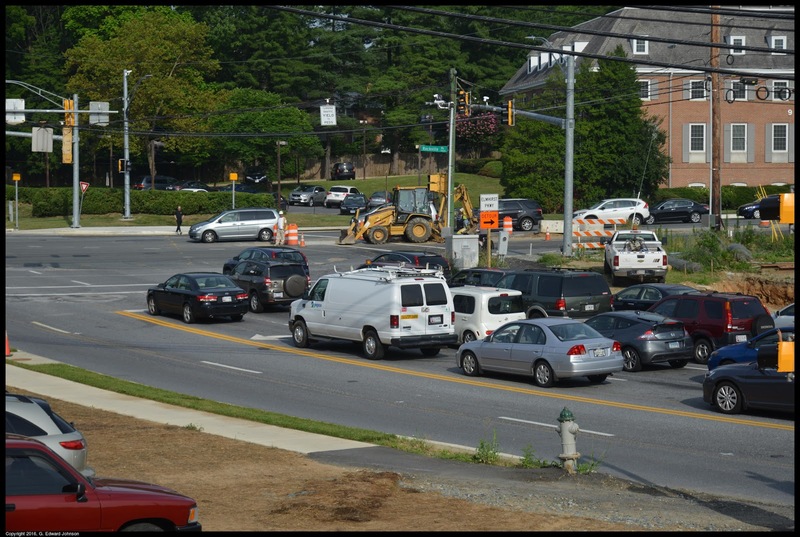 Here is the intersection again, this time on June 20, 2014. Yes, that means this is the third summer they have been working on this project. During this time, Cedar Lane east of Rockville Pike was closed.